GARDENA — The Japanese American Historical Society of Southern California (JAHSSC), Keiro Senior Healthcare Institute for Healthy Aging and Gardena Valley Japanese Cultural Institute are sponsoring a health seminar on Saturday, March 2, from 1 to 2:30 p.m. at the GVJCI, 1964 W. 162nd St., Gardena. Some of the topics to be covered include the differences in health conditions of the Issei, Nisei, Sansei and those living in Japan, and reasons for the differences; and suggestions to promote good health. Kagawa Singer’s research focuses on the etiology and elimination of disparities in physical and mental health care outcomes for communities of color, primarily with the Asian American and Pacific Islander communities. 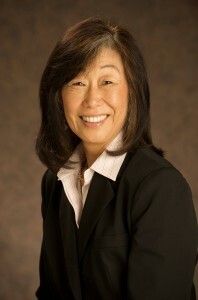 A major focus of her work is on testing the cross-cultural validity of health behavior theories and measures and their implications for clinical care cross-culturally using mixed methods. She has published and lectured nationally and internationally on each of these areas. Kagawa Singer is also regional principal investigator in Los Angeles for the NCI-funded national Asian American Network on Cancer Awareness, Research and Training (AANCART). She recently was awarded an R01 grant on quality of life and survivorship for Asian American Cancer survivors, and a second grant through the NIH-OBSSR on operationalizing culture.